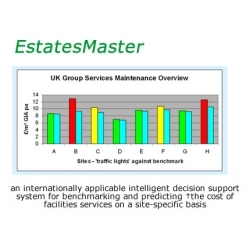 EstatesMaster is an internationally applicable intelligent decision support system for monitoring, planning and controlling the cost involved in the provision of facilities services in a wide range of site-specific scenarios. Created by Bernard Williams and his former colleagues colleagues at BWA EstatesMaster draws on more than two million data entries, records and experience of over 40 years of benchmarking consultancy. EstatesMaster has modules for Cleaning, Maintenance, Security, Distribution, Energy, Reprographics, Stationery and Service Charges. 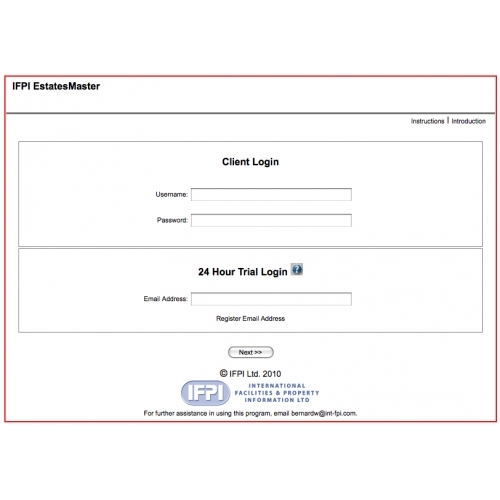 It ihas been used by major commercial corporations and Central and Local Government bodies. 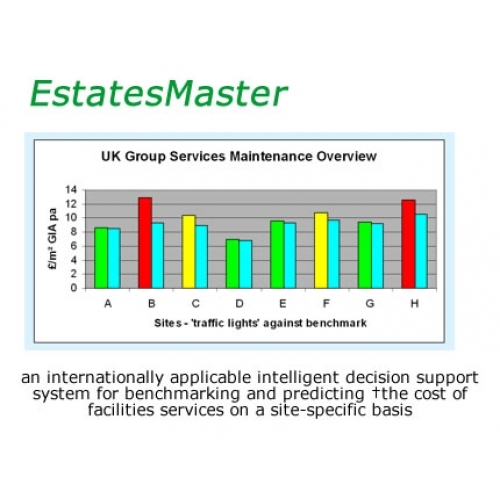 A unique feature of the program is that it can be used to benchmark (or predict the costs of) facilities services across estates of any size in any location; the largest estate benchmarked so far comprises 8,000 buildings across the UK. EstatesMaster is now web-enabled for the Cleaning, Maintenance, Security and (very shortly) Energy modules. Licence fees for one year’s fully supported updated access to the programs start form £350 (+ VAT) per cost centre – according to size of buildings and number of operating seats. 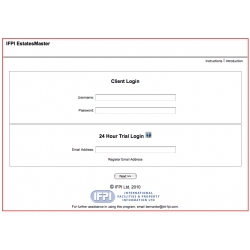 Please visit the dedicated website - www.EstatesMaster.com - for more information on the program and how to register for a FREE trial Demonstration of the program in action. Alternatively please click here to download a PDF with more information.